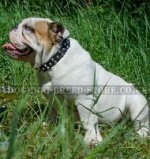 You've got a pedigree pretty English bulldog puppy, one of the best (or the best) in brood, and the owner not without a reason predicts a good show-career for the baby animal and it depends to a large extent on you. Biologically valuable food, regular walking, physical training allow your pet to develop its nature in full measure. 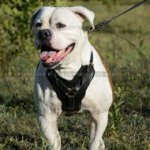 You should add also simple training elements necessary for the dog control on the conformation ring and skills of dog handling for the owner in case he or she is a beginner. Handler is literally a manager and practically - a person who can walk and show the dog making an accent on its best sides in static and motion. In many countries the dogs of private owners are introduced by the professional handlers (for a sizable sum), who are always sportive, elegant, very stylish-looking but at the same time they can focus experts' and public's attention not on themselves but on the dogs they present. It is the real professionalism. In Russia the owners are usually handlers at the same time (mostly because of the money) that’s why you can often hear from the foreign experts the compliments about dogs' conformation and the grave reprimands about the owners, who can't good introduce them. However many Russian dogs have become the World and Europe Champions and were introduced by their owners. So Russians have a lot of good handlers (including professionals). And those owners who want to present their dog themselves should take several handling lessons for beginners. The first command which a puppy should learn is the command "Heel". 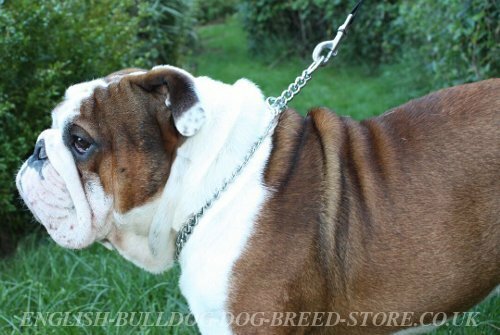 The movement with English Bulldog along the ring is a quick march. Already in age of 23 months you should teach your dog to a set and the command "Stay" performance. Dog shows have their specifics: the 30-degree turn to the expert to show the chest and the hind leg. 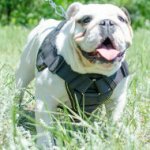 If the set is out-of-balance there is an easy way for Bulldog to put it straight: you should take your dog under the chest from behind, to lift slightly and to put it down gently. During this procedure Bulldog usually sets his legs correctly. 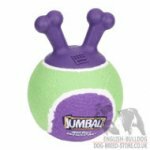 Train your English Bulldog to keep the right set, this static training requires a lot of patience from both of you. 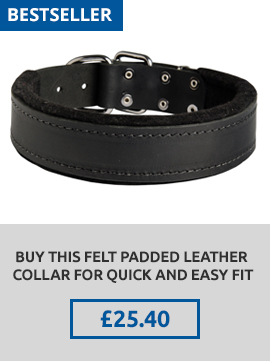 Putting the dog's set straight you shouldn't be afraid of spoiling your expensive suit. You should bravely stand on your knee and remember that it is more important to show your dog not yourself. 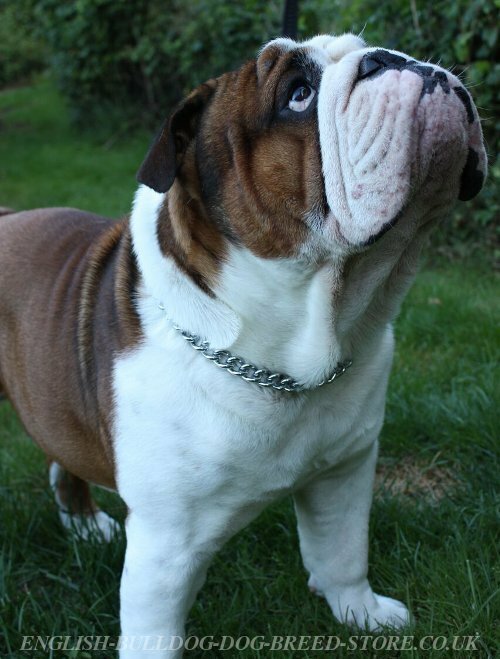 The tradition respect requires showing your English Bulldog in a chain collar, which should hang down on the chest during the dog show making an accent on the chest width. When you show your English Bulldog on the ring for the first time, try to keep calm because the animal at once feels nervousness and uncertainty. 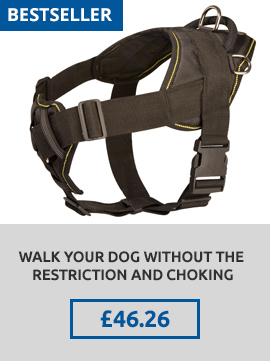 And here you are putting your dog in set according to the catalog number. 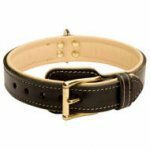 An expert looks at the ring and then calls each dog and examines it separately, that's why it is better to show your English Bulldog the ring previously. 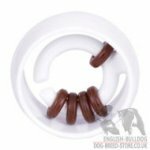 Take your English Bulldog to the dog show a little bit earlier and try to train with it and to "warm it up" on the ring in the break. If your pet have got the Excellent grade and stayed on the ring (Very Good, Good and Sufficient leave the ring) try to keep calm because the new examine and the most exciting part – the winners determining are waiting for you. 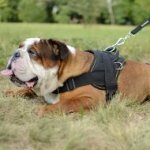 Five days before the dog show it is desirable to wash your English Bulldog, to clean its ears, to rub all the folds, to cut the nails, to cut the hair on Bulldog's tail to make it beautiful and round. All these days you can feed it even better than usual. 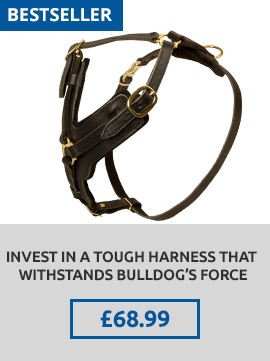 Don't load much your English bulldog with walking. And the most important – be sure that your dog is the best. The confidence of the owner passes on his or her pet. 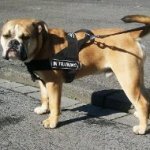 As to English Bulldog, its soul is made to resonate with the soul of the owner. 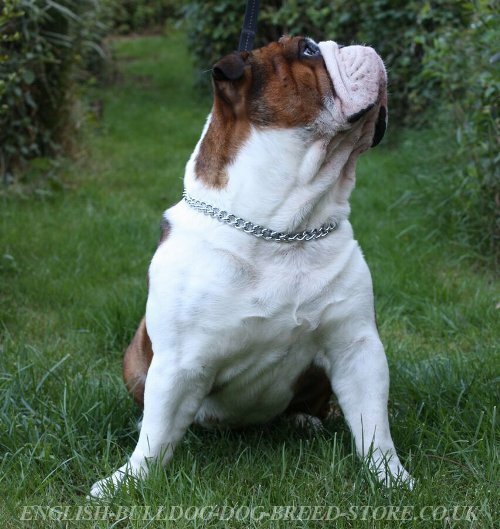 So we wish you good luck and new wins, our dear English Bulldog owners! 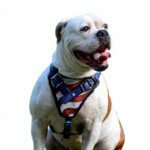 Read more about English Bulldog breed characteristics and care.